We began recruiting families to attend camp in December 2016 when our applications process opened. (Families can apply directly via our website). We promoted our Scotland Family Camp via our own social media channels and through the very many contacts we have established within major children’s hospitals, paediatric units, specialist nurses, other children’s charities, carers and family groups. Our Regional and Clinical Co-ordinators contacted each applicant personally to discuss their family’s situation and needs and to assist them through the applications process. Throughout March and April 2017 places were all offered and confirmed. At the same time we recruited and appointed a team of volunteers to help support the campers. Each family had at least 2 camp volunteer allocated to them and we also had a team of 4 medical volunteers attend. 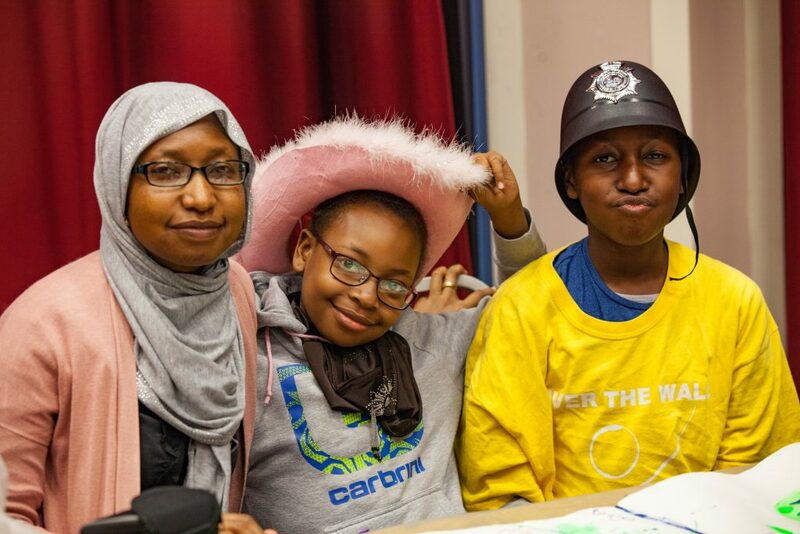 At camp, families took part in whole camp team events and challenges, ranging from arts, drama and more high impact sessions such as zip wire, archery and kayaking. We offered at least 4 structured activity sessions daily and made time for a free choice session every afternoon. Parents and carers were also given time to spend together whilst the children were enjoying activities designed especially for them. The whole camp came together for meals and in the evenings for talent night, camp song time and closing ceremony, during which we presented every child attending with a discovery box full of tangible reminders of their time at camp and their own personal achievements made during camp. Show Case Study Hide Case Study A difference Over The Wall Scotland Family Camp 2017 made: Disabled children and young people, especially those with multiple support needs, have had more opportunities to take part in fun, stimulating and rewarding activities that are not normally accessible to them. 9 year old Chloe McIntosh has leukaemia and is being treated at the Royal Hospital for Children in Glasgow. She attended camp along with her parents and older sister. Her mum, Becky said, "Its rare that we all spend time together now and this made me realise what we had been missing. We are making much more of an effort now to have a board game night once a week, without electricals. All we experienced at camp we would never have managed anywhere else. The girls have more confidence to try new things. We all loved the canoeing, paddling and cycling. " Show Case Study Hide Case Study A difference Over The Wall Scotland Family Camp 2017 made: Carers of disabled children and young people (and those they care for) have improved well-being as a result of attending camp. 15 families affected by childhood disability and serious illness now feel more connected, having enjoyed a unique opportunity to relax and have fun together. Sam, age 6, attended with her parents and her older siblings, David and Harriet. Sam was diagnosed with Acute Lymphoblastic Leukaemia and has been living in and out of hospital for 3 years. She is just in remission. 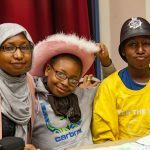 Show Case Study Hide Case Study A difference Over The Wall Scotland Family Camp 2017 made: Carers have more opportunities to live a life outside of caring. Carers who attended camp feel less isolated, less ‘alone’, more aware of services available to them and more supported, either by these services or via a new peer support network. Gemma is mum to Damien who has heart disease and 2 other children. The family attended their first family camp in 2017 and Gemma found she benefited as much as the children. "It was great for the kids to let loose and have fun, and I could let them go knowing they were in safe hands. It was so great to be able to spend quality time as a family and also to meet other people who understand and get the problems we face. I think it has improved my confidence as much as the kids. " We used to recruit 1 volunteer 'buddy' per family. Last year we moved to a new minimum of 2 volunteers per family and we have found the families have a better experience because of this. The family can seperate, and do different activities at certain times. The parents are reassured and confident that their children are safe well cared for. We found that parents and carers were able to enjoy their own sessions, apart from the children, more, because of the higher ratio of volunteers to campers. Some of the families were not as well prepared as they could be for the activities we ran at camp. We need to make sure that they are all well briefed about what kind of clothing etc to bring so they are able to access the full range of activities (one family were unaware that we had access to a pool for swimming). Offering to fund transport costs to and from camp ensures that travel costs are not a barrier to families applying. Some of those who have arguably had the most to gain have been families who are living in more isolated and rural areas. Transport was expensive and our ability to cover this cost ensured they were able to attend. Use volunteers. Our volunteers give so much more than just their time. They bring their own life experiences, interests and a new energy to camp. We actively recruit volunteers from many different backgrounds, to reflect the diversity of our campers. nationally, over 30% of our volunteers have a medical condition of their own. It is hugely empowering to the families and the children to see people who share the same frustrations and challenges in this care giving (as opposed to receiving) role. Ensure that there is time for the families to dictate how at least some of the time is spent. Down time is as important as active time spent pursuing new challenges and trying new activities. Don't cram too much in and always be led by the group. Different camps take on their own pace depending on the individual families that attend.